A Massachusetts father gives his children a reason, beyond the possibility of string cheese, to look forward to lunch. 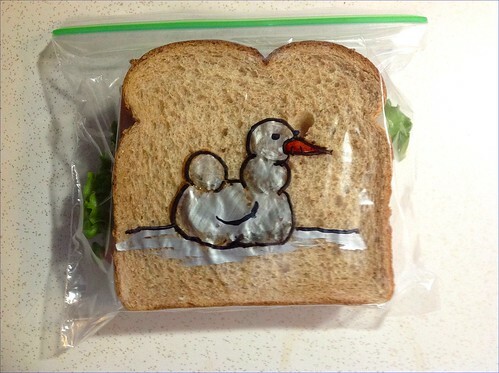 David Laferriere of Attleboro has been drawing on his kids' sandwich bags for the past five years, posting pics of each doodle to his flickr account. 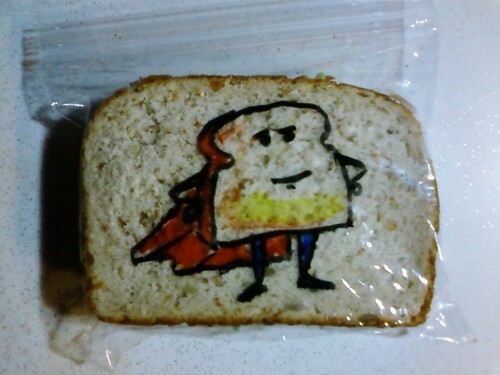 While most parents struggle with deciding what to feed their kids, Dave says the hardest part of making his kids' lunches is coming up with ideas to draw. 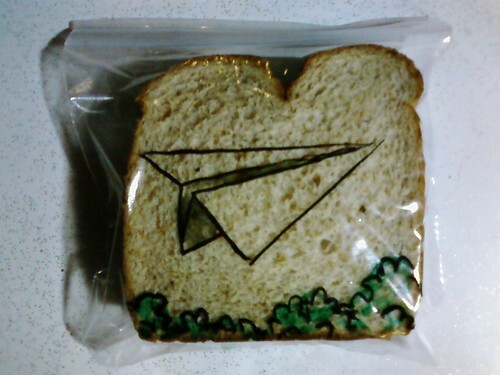 It doesn't seem like he's struggling that badly, however, with his "Sandwich Art" flickr series featuring more than 1,000 photos. 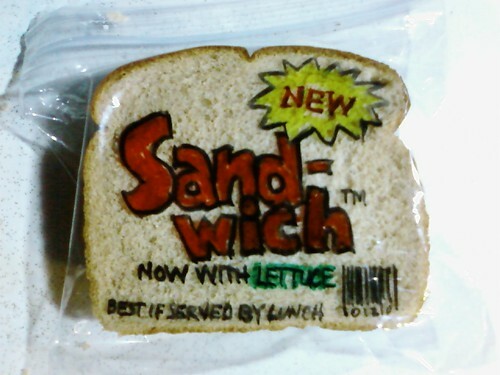 "Since May 2008 I have been drawing on my kids' sandwich bags with a Sharpie marker. 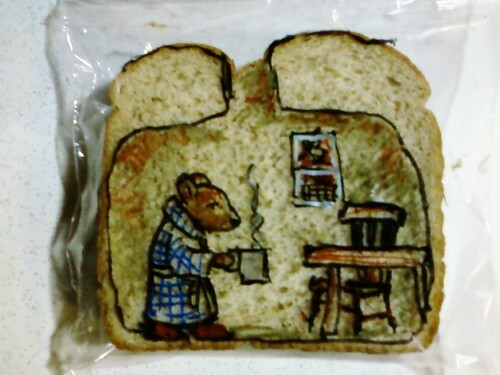 Each drawing is done just after I make the sandwich," Dave says. 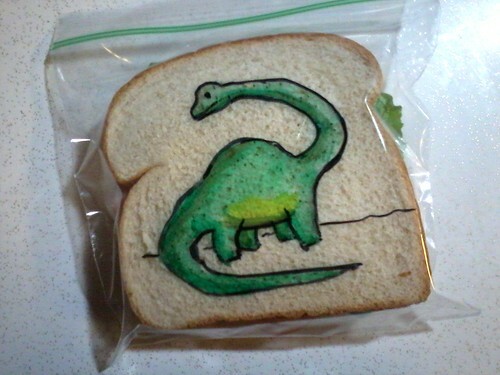 He says his kids don't get to see his creation until lunchtime, and that he'll stop drawing on their sandwich bags when they ask. "I've always told my kids I would stop when they tell me. 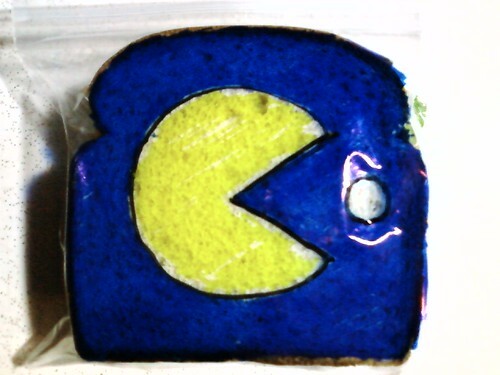 So far they still enjoy them as do their friends," he says.